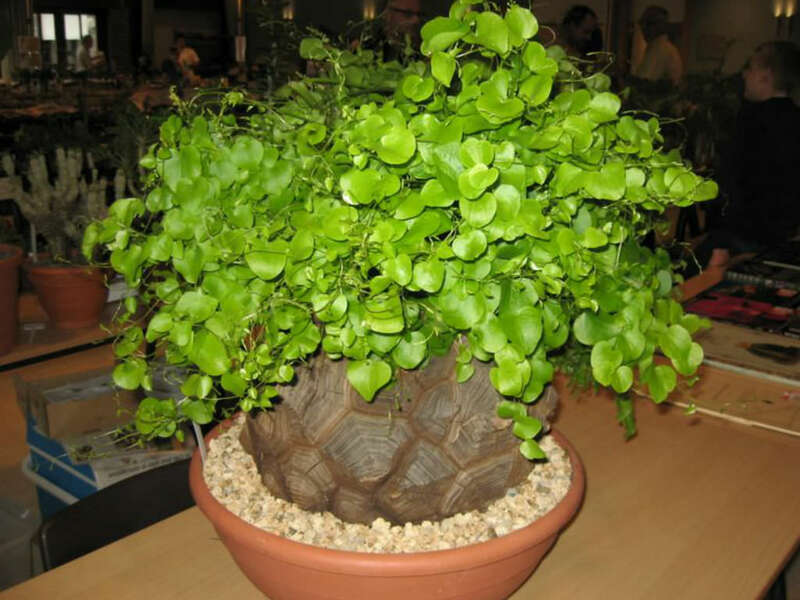 Dioscorea elephantipes is a slow-growing and long-living succulent with tuber above ground level covered with layers of corky bark. 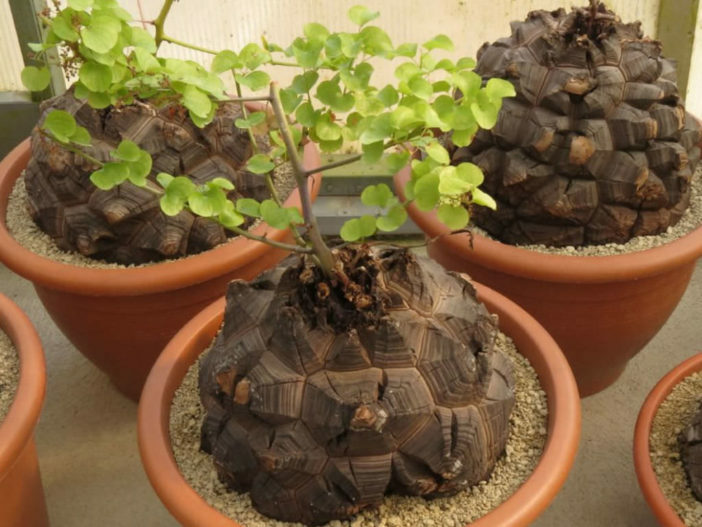 The caudex can grow up to 6 feet (1.8 m) in nature, resembling an elephant’s foot. 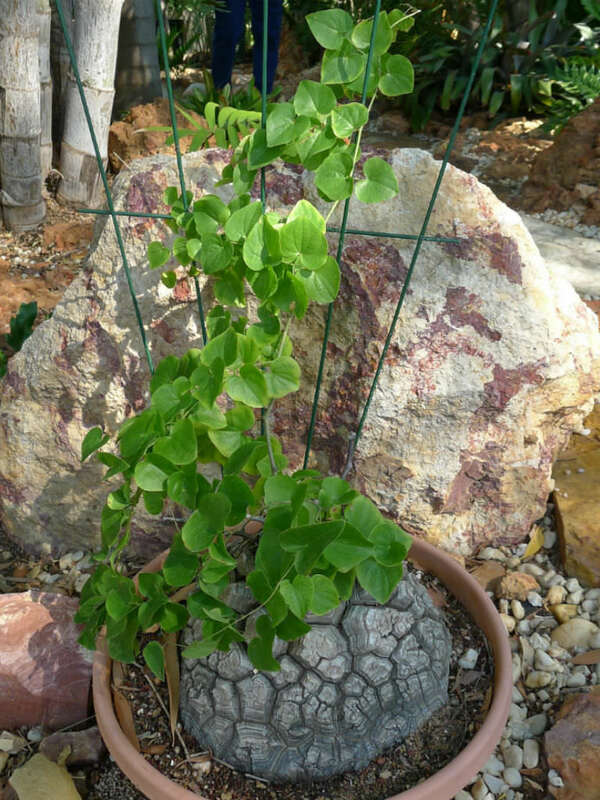 The stems grow in a climbing fashion. The leaves are heart-shaped. The flowers are dioecious, with male or female flowers occurring on separate plants. They are pale greenish yellow and normally appear in winter. Male flowers are erect with spiny racemes. Female flowers are in spinescent, spreading spikes. 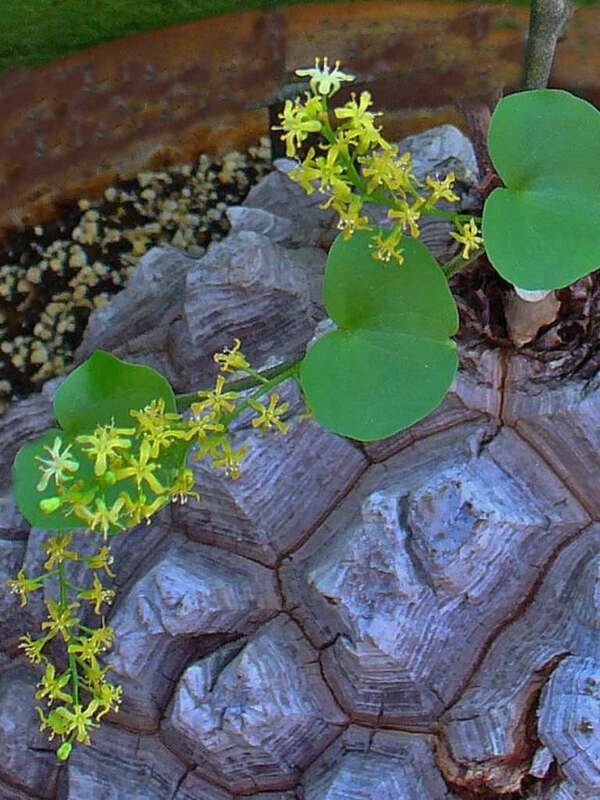 In most climates, Elephant’s Foot are grown as indoor plants, and the plant is relatively easy to grow from seed. 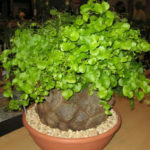 The roots aren’t deep, so plant Elephant’s Foot in a shallow pot, filled with a porous, well-drained potting soil. 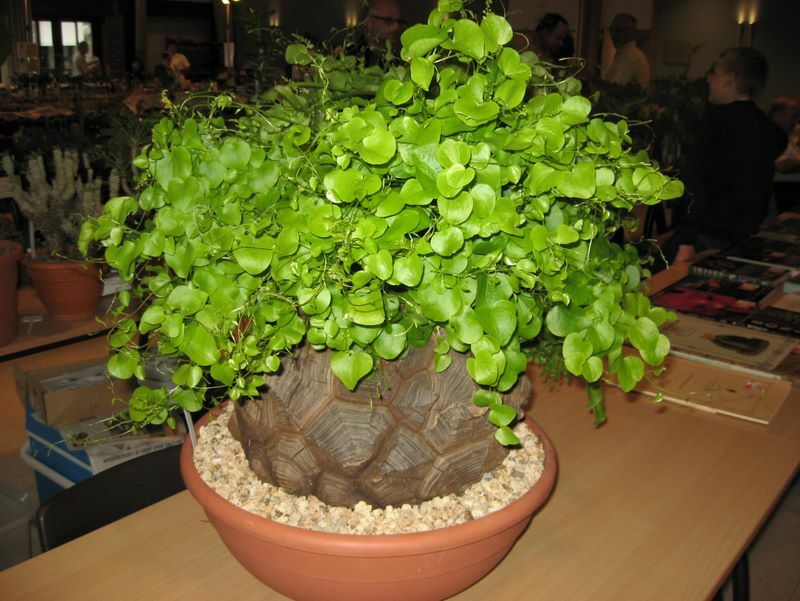 Water the plant around the edges of the pot and not directly on the tuber. Allow the soil to become nearly dry before watering again. 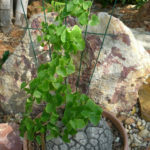 If you grow Elephant’s Foot outdoors, place it in sandy soil amended with rich, well-rotted compost. Be careful not to overwater. Elephant’s Foot care is simple. Feed the plant with a very dilute (25 percent of normal) fertilizer with each watering. Withhold fertilizer and water sparingly during the plant’s dormant period, when the vines turn yellow and die back. Plants often go dormant during the summer, but there is no set pattern or time schedule. 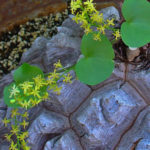 Native to the dry interior of South Africa.